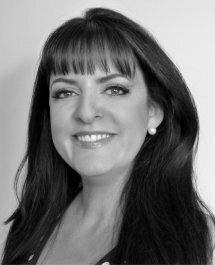 Kim Slater is the debut author of SMART, an uplifting young adult novel about an extraordinary boy’s struggle to be understood. 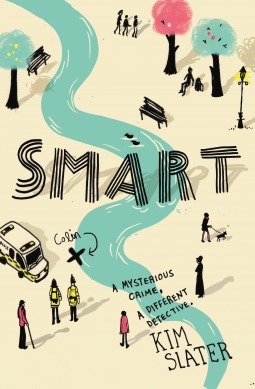 In celebration of SMART’s publication day Kim has stopped by the Darley Anderson Blog to talk to Vicki Le Feuvre about everything from finding her agent (that’s our own Clare Wallace) to SMART’s book launch (that’s tonight). Vicki Le Feuvre: First of all, your debut novel SMART is out now and getting great reviews. How has your week of publication gone so far? Kim Slater: It’s been so exciting! I’ve been overwhelmed by the reviews that have been coming in from both children and adult book reviewers. I’ve been busy doing interviews with local press, a blog tour and making preparations for my book launch party at Waterstones, Nottingham. VLF: Knowing how prolific you are on Twitter, we wondered if you would be able to summarise the plot of Smart in the form of a tweet for us? VLF: Kieran is such a great character with an utterly compelling and unique voice, I know I fell in love with him the moment I picked up your submission. How did you create his character? Was there any sort of process to this or did you find his voice came naturally to you? KS: Kieran’s voice literally jumped in my head and within a few days, his character felt almost fully formed. Within days I could tell you how he would react to certain things, what he would say in certain situations. It felt like a gift as a debut author! VLF: A lot of the reviews have already compared Smart to The Curious Incident of the Dog in the Night-Time by Mark Haddon and have commented favourably on how you never force Kieran into any particular category or label the specific learning difficulties which require him to have a personal teaching assistant at school. Was this a conscious choice for you? Did you not want to pigeonhole Kieran’s character by giving him a label? KS: I’m very flattered by comparisons to Curious Incident but I never set out to label Kieran in any way. I just knew that he thought in a different way to most boys his age and that he was on the Spectrum – as I personally think many of us are! I didn’t want to define him in terms of that, the only thing I felt quite strongly was that he was high-functioning and that his particular way of thinking was going to be an advantage in investigating the mystery and also holding a mirror up to the reader in terms of human behaviour through Kieran’s eyes. VLF: I have heard this rumour going round the agency for a while now and I wanted to ask – is it true that you wrote the first draft of Smart in eleven days? KS: Yes, this IS true. Initially, I sent Smart out to three agencies who all asked for the full manuscript. The trouble was, I had only written about eight-thousand words of it . . . I know, I know, agents HATE it when writers submit like that! Thankfully it was half-term and I was off work so I just buckled down and wrote the remainder of the manuscript, averaging 4-5k words a day. I would not recommend this, it was very stressful! But because of Kieran’s character being so well-rounded in my head, the book really did almost write itself. VLF: Do you have any particular writing habits or requirements? Do you write in any one particular place, for example? On computer or by hand? 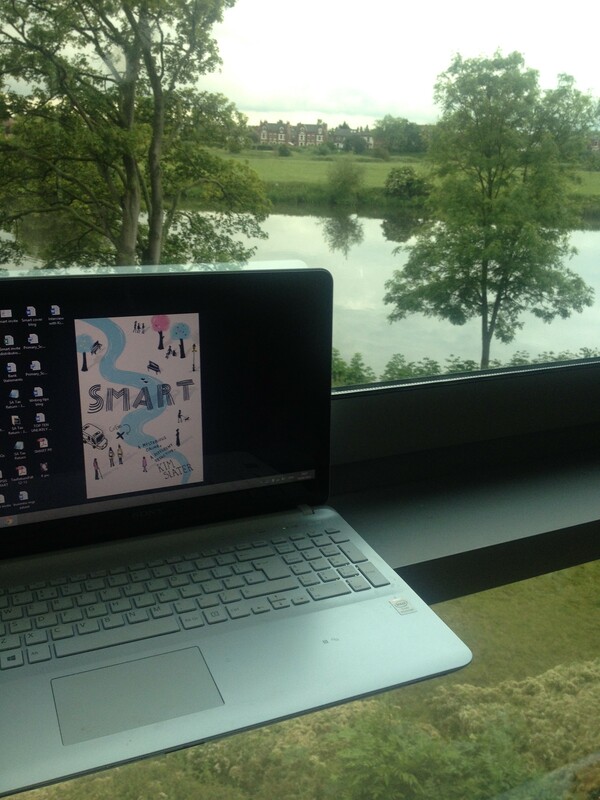 KS: I do nearly all my writing sat on the bed and I’m very fortunate to have a lovely view of the River Trent, where Kieran found a dead body. I can touch-type so using a laptop is definitely the most efficient way for me to get words down. I am self-employed and work full-time in schools managing budgets, so I set the alarm each morning and write between 6-8 am. On weekends I write Saturday and Sunday mornings until lunchtime. As you might have guessed, I have discovered that mornings are my best creative time! VLF: Smart is an excellently challenging read for young adults which engages with a lot of real-world issues. It’s definitely a book that I would have devoured at Kieran’s age. I wondered what sort of books you read at that age and whether these had any influence on you when it came to writing Smart? KS: I have always been a prolific reader even as a child and I read far and wide from Enid Blyton’s Famous Five and C S Lewis’s Chronicles of Narnia to Roald Dahl and his Tales of the Unexpected. I think I was definitely influenced by these amazing authors because it taught me the value of great characters and a strong storyline. VLF: Saying that, I did actually devour Smart as an adult, I think that Kieran’s story works brilliantly as a crossover novel. Was this something that you had in mind while you were writing? Did you have any particular reader in mind? KS: Smart began life as a short story for my Creative Writing assignment. One of my specialist modules was Writing for Children & Young Adults, so I did intend it to be read by a YA audience. But as the book grew, I sensed adults would also enjoy reading it, too because Kieran’s observations about the world seem to ring true to people of all ages. VLF: For the budding authors who frequent our blog I wondered if you could give us your top three pieces of advice for new writers? Spend some time getting to know yourself as a writer. Identify your best time for working and carve out some time around it. Do you work best writing from a rough plan or without one? Are you more productive writing in one particular place? These things are important because when you get them right – and everybody is different – you’re giving yourself the best chance to get down to writing without distraction. Learn what you write best. If you’re not sure, experiment. Try writing lots of different pieces with different points of views and in different genres. I’m still using ideas I developed for MA assignments – writing courses of all descriptions are great for building a base of ideas/short pieces. Your first instincts are often a good indication to what comes naturally – nine times out of ten my character voices come to me in first person. Agents, publishers, readers all like an exciting, grabbing beginning to any story. Below, I talk about how I redrafted Smart a new beginning following independent edit advice. There’s no need to get hung up about this during the first draft, you can always come back to it any time, in fact sometimes it’s easier to have a better overview of what it needs once you’ve reached the end of your novel. VLF: And how did you go about getting an agent yourself? KS: The three agencies I mentioned earlier all passed on Smart when I sent in the full manuscript. Of course, I was very disappointed but still, I really believed I had something with this book. I had sent submissions out before embarking on my degree and MA and never moved from the slush pile, so to get three requests for the full manuscript was a big step. I’d finished my MA module by then so I decided to pay for an independent edit. Sometimes, when you’ve worked really closely and intensely with a manuscript, it’s difficult to stand back and evaluate what you need to do in order to improve it. I would say the two most important developments that came from this redraft was that, on the editor’s advice, I cut the first three chapters so Smart began in a more exciting place and I lightened up a little on some of the difficult scenes and issues so the book was not too bleak for its intended YA audience. The editor believed in Smart so much she recommended it to several agencies she worked with. Amazingly, I got five offers of agency representation – of which the Darley Anderson Literary Agency was one! VLF: Kieran is an avid fan of L S Lowry’s paintings which is mirrored beautifully in the fantastic cover art by Helen Crawford-White. What was it about Lowry that made you choose his work in particular as the object of Kieran’s adoration? KS: I agree, the illustrator Helen Crawford-White and the Pan Macmillan art department have done such a fantastic job with the cover, I still can hardly believe how apt and beautiful it is when I hold the book in my hands. I had just started to develop Smart the short story into Smart the YA novel when my fiancé Mac and I went to a Lowry exhibition one weekend, at the Lakeside Art Centre in Nottingham where we live. Mac already really liked Lowry’s art and although I wasn’t massively fussed, I was happy to go along as I’d seen his matchstick people and dogs and thought it all looked quite pleasant. The exhibition was organised into time periods of Lowry’s life and I was knocked off my feet when we got to the paintings he’d done after the death of his mother. All the people and animals were gone, the paintings were bleak and lonesome and they touched me deeply. The fact it was so unexpected made it even more poignant for me. That influence translated directly into the Smart manuscript when I got home. Suddenly, Kieran was given a lifeline in his troubles; Lowry’s art inspired and helped him cope. My great hope is that some of Smart’s young readers might seek out one or two of the paintings online that I’ve named in the book and see how they feel about them. The exhibition at Nottingham was temporary but I’d absolutely encourage anyone to pay a visit to the permanent Lowry art gallery at Salford, Manchester, it really is excellent. VLF: And finally, if you had to pick, what would you say was your favourite Lowry artwork? I have two Lowry framed prints (sadly, not originals!) in our apartment. One is Coming From the Mill, 1930, which depicts hoards of mill workers leaving at the end of a long, hard day. 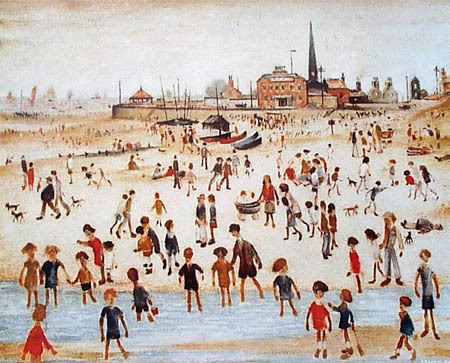 The other is At the Seaside – people and of course, dogs having fun on the beach – impressively, Lowry still manages to include a smoking chimney in the background! It’s a personal ambition of mine to own a Lowry original. Who knows – maybe one day! Kim’s stunning debut novel, SMART published by Macmillan Children’s Books, is out today and you can follow her on twitter: @Kimslater01 for more updates. This entry was posted in Darley Anderson Authors, Interviews and tagged aspiring writers, Clare Wallace, darley anderson, Helen Crawford-White, Kim Slater, Pan Macmillan, Smart, Vicki Le Feuvre, writing, YA. Bookmark the permalink. Lovely and insightful interview. I wish the author the success with this book and all the other that will follow. Congratulations Kim. Never stop believing.